Gold Sprinter Game. Download Gold Sprinter. 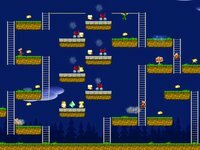 Download Lode-Runner game. 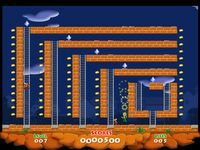 Gold Sprinter game is a remake to the classical game Lode Runner. The core gameplay has remained the same: Gold Sprinter runs around a level gathering gold and eluding monsters. The player can dig holes to trap monsters. Once all the gold has been collected the player can come through a portal to the next level - a seemingly easy goal that turns out not so easy to achieve. The way to glory is swarmed with annoyingly stubborn enemies whose only passion is their stash.